Oregano plant properties. Scientific name, Identification. 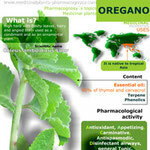 Active ingredients and content of Oregano leaves. General characteristics of the Oregano plant. Medicinal properties, benefits. Uses and contraindications. Preparation and dosage. Scientific name: Coleus Lour amboinicus o Origanum vulgare L.
Oregano is a high herb with fleshy leaves, hairy and angled stem used as a condiment and as an ornamental plant. It is native to tropical Asia. 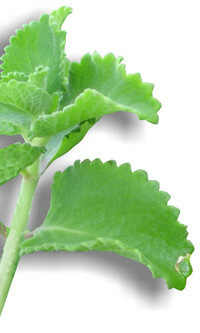 The described properties of Oregano are: appetizing, carminative, antispasmodic and disinfectant airways. It is a general tonic and diuretic. As external use is analgesic, healing and antifungal. It is an antioxidant. 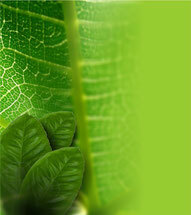 Contains an essential oil with 90% of thymol and carvacrol. Oregano also contains terpene, phenolics and other compounds with pharmacological properties. Decoction is prepared from the leaves and should be taken three glasses a day. Also can be taken as an infusion, before or after meals. Use with caution in children and in people with gastritis and gastrointestinal ulcers or intestinal disorders. summary characteristics and properties of Oregano. summary characteristics and properties of Oregano plant. Buznego, M. T. et al. : Chronic effects of P. amboinicus in several models of experimental epilepsy. I Congreso de la Sociedad Cubana de Neurociencia. La Habana. Ed. Academia de Ciencias. 1990. P. 125. ----- : Effects of P. amboinicus in exploratory behaviour and agression behaviour induced by isolation in rats. I Congreso de la Sociedad Cubana de Neurociencia. La Habana. Ed. Academia de Ciencias, 1990. P. 125. ----- : Study of P. amboinicus in the strong penicillin focus. I Congreso de la Sociedad Cubana de Neurociencia. La Habana. Ed. Academia de Ciencias, 1990. P. 125. Fernandez, M. D.: Propiedades de P. amboinicus, un nuevo antiepiléptico. La Habana. INIFUNCE, 1990. Fernandez, M. D. et al. : Catecholamines levels in the chronic effect of P. amboinicus en kindlind model induced by lidocaine. I Congreso de la Sociedad Cubana de Neurociencia. La Habana. Ed. Academia de Ciencias, 1990. P. 125. Roig, J. T.: Plantas medicinales, aromáticas o venenosas de Cuba. La Habana. Ed. Cientifico-Técnica, 1988. P. 1125.